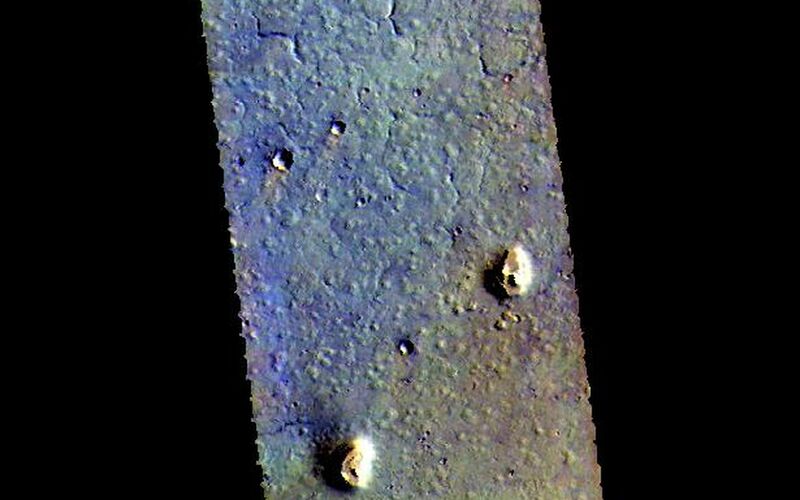 Today's VIS image is located in the plains between Chryse and Acidalia Planitias. Dark blue tones in this false color combination are usually created by basaltic sands. There appears to be surface sands in the middle of the image. 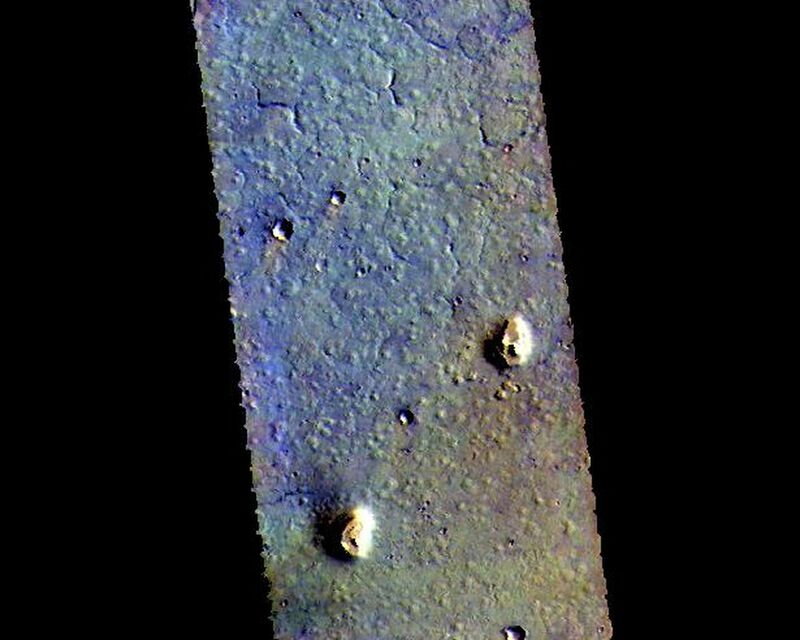 The "orange" tail behind the crater towards the top of the image is created by wind action. Wind will both erode and deposit fine materials. The wind tail is the downward side of the crater. These features are termed windstreaks, and they help to understand the direction of wind. 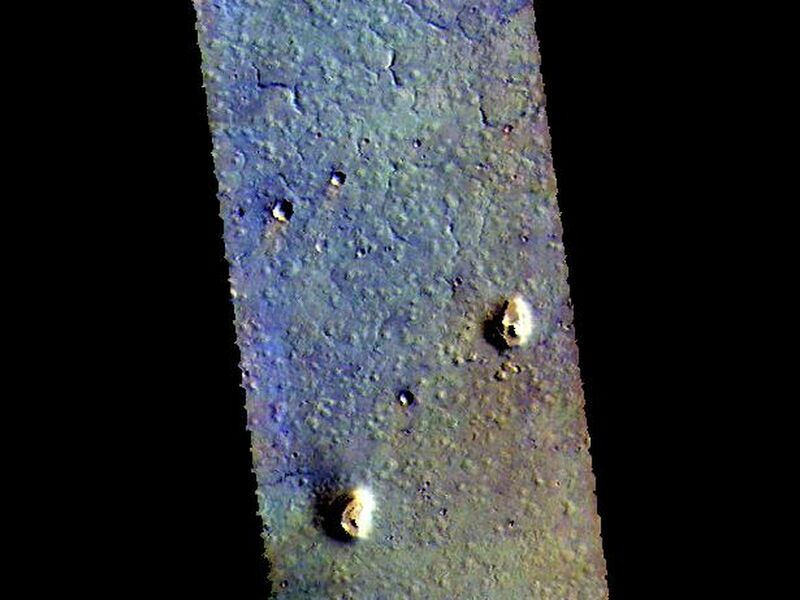 Both the windstreak and the surface sands indicate a dusty/sandy region confined to the central part of this image. NASA's Jet Propulsion Laboratory manages the 2001 Mars Odyssey mission for NASA's Science Mission Directorate, Washington, D.C. The Thermal Emission Imaging System (THEMIS) was developed by Arizona State University, Tempe, in collaboration with Raytheon Santa Barbara Remote Sensing. 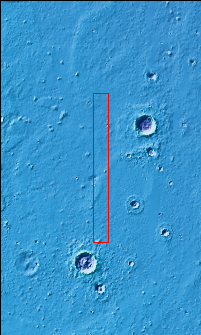 The THEMIS investigation is led by Dr. Philip Christensen at Arizona State University. Lockheed Martin Astronautics, Denver, is the prime contractor for the Odyssey project, and developed and built the orbiter. Mission operations are conducted jointly from Lockheed Martin and from JPL, a division of the California Institute of Technology in Pasadena.